This giant inflatable dragon will grab attention and pull customers in to your business, especially when you've got a sale to advertise. Fliers and e-mails can be easily ignored, but no one can ignore a gigantic inflatable dragon. With wings and a spiky tail, this beast is sure to catch the eye of passers-by. 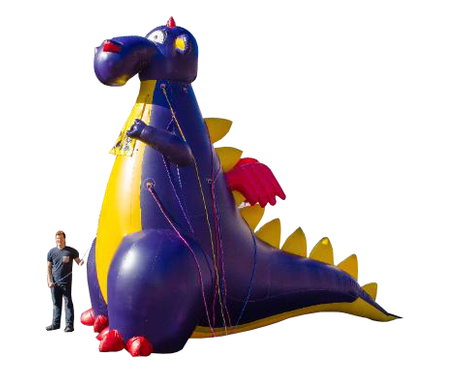 Purchase a giant inflatable dragon and start driving more traffic to your event today.